The Secretariat of Tourism and the MTB announced that 2015 will the year of Mexico in the United Kingdom, as they will intensify their promotion of the country’s tourism destinations. The Riviera Nayarit Convention and Visitors Bureau (CVB) was present at the thirty-fourth edition of the World Travel Market (WTM) in 2014 to promote the destination in a booth inside the pavilion set up by the Secretariat of Tourism (Sectur) and the Mexico Tourism Board (MTB) during the four days of the event. This global travel industry expo is among the top three tourism exhibitions in the world and offered a unique opportunity for those in the travel business to conduct meetings, network and negotiate with the over 50 thousand attendees that were present at the ExCel center in London this year. During the cocktail traditionally offered by Sectur and the MTB for the destinations presenting in the pavilion, the Mexican and London authorities and special guests, Secretary of Tourism Claudia Ruiz Massieu announced that the 2015 event will celebrate the year of Mexico in the United Kingdom. This would mean a bigger presence of the brand both as a country and for its tourism destinations. She also announced an increase in the number of activities for tourism promotion within this European region as well as the reach obtained through the fair. According to the statistics offered by the MTB, British tourists are the top European visitors to Mexico. A prime example is the great response of British visitors to the region after the inauguration of new direct flights to the region last May. Every year the attendance increases for this event, which took place in early November. This year it was 4% higher than in 2013 with about 40 countries participating. 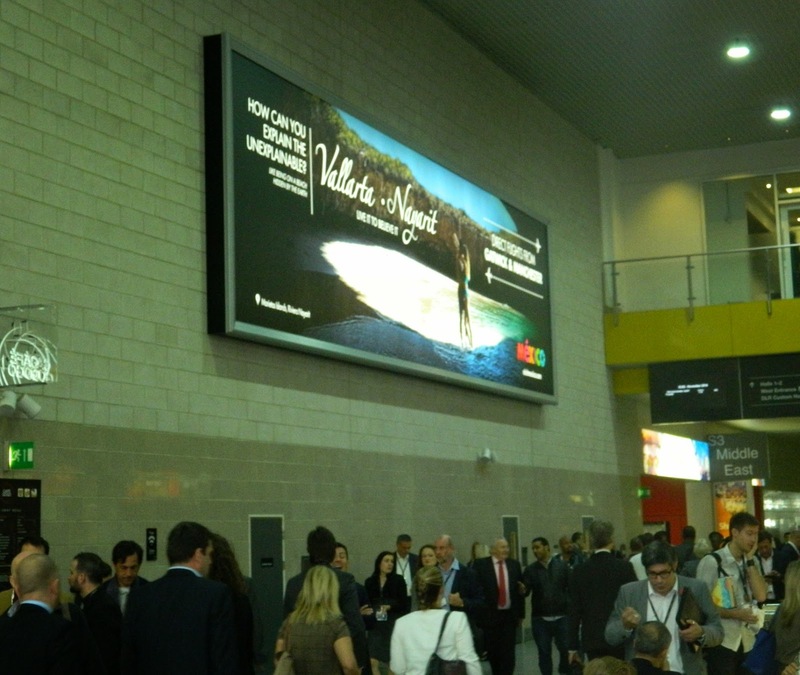 According to the organizers, Reed Travel Exhibitions, the WTM 2014 will generate about £2.5 billion in industry deals.